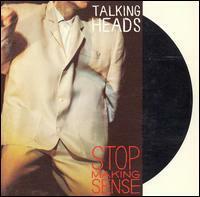 Sell your TALKING HEADS items on eBay ! After the first shaky studio album from the band, Talking Heads didn't waste any time and decided to document their excellent live show for everyone to enjoy. The final result definitely speaks for itself and there is no denying that the band performed, what I consider to be, one of my top ten live video recorded stage shows that only surpass by classics like King Crimson's deja VROOM and Director's Cut version of Pink Floyd's Live In Pompeii, among others. Even though I completely adore this stage performance, the soundtrack to this release is a different story all together. Unlike the DVD, this 75 minute release becomes weary towards the middle of the show, right around Swamp, and never recovers after that. The main problem is that the songs that are featured on the set-list aren't strong enough to make this an excellent live album with big concert favorites that have already been done on The Name Of This Band Is Talking Heads sounding tired and uninspired without the visuals to back them up. I'm mainly talking about songs like the Found A Job, Once In A Lifetime and especially the full choir version of Take Me To The River. While songs like I Zimbra, Cities and Born Under Punches have now been substituted by the new material from Speaking In Tongues, which I suppose means the Talking Heads were proud of their new studio release. Too bad, I can't appreciate their passion for that album since those songs lack both the songwriting hooks and the passion of everything that came before it. I also never cared much for the Tom Tom Club and the performance of Genius Of Love really makes no sense on the live album, unless you watch the video and see that the song is actually performed in order to let David Byrne have a quick costume change. What I'm basically trying to say is that the well choreographed visuals of the performance don't transfer that well onto the live album and you're probably going to sit and visualize the different scenes from the show while listening to it anyway! Jonathan Demme is a masterful music director and he demonstrated it only recently with the 2006 release of Neil Young: Heart of Gold. Still, its his work with Talking Heads that probably marks one of the most well recognized video recordings that have ever been done. So my question is why would you want to substitute it by limiting yourself by the audio only version of this masterpiece? If you really want to hear a great live album by Talking Heads then you can listen to the superior performances on The Name Of This Band Is Talking Heads and only pick up this album once you've got tired of the 160 minutes worth of material that is offered there! I saw the Talking Heads live in about 1978 when they were one of the most interesting and refreshingly new bands to come along in quite a while. Neither hippies nor punks, the Heads presented an almost machine like minimalist groove that reduced the individual band members into one selfless unit that was very disciplined and tightly focused, the exact opposite of excessive 70s rock dinosaurs as well as melodramatic punk rock drama queens. The entire late 70s concert I witnessed was hypnotic and urgent, totally spell- binding and futuristic in its denial of the usual rock-n-roll Dionysian ascetic. Flash forward to 2004 and the Heads are big rock stars now and their music is really huge sounding in that 70s classic rock sort of way and despite their critical success it seems the Talking Heads have lost track of everything that used to make them so unique. Not only have the Heads unconsciously succumbed to the predictable numbing excesses of rock, but this downhill slide has been grossly magnified by the fact that David Byrne has decided he is a great rock personality and singer when in fact he is not. When the T Heads first started out, Byrne's vocals were shy and nervously offered as part of the band's overall mix, but now David steps to the front as an unlikely rock-n-roll hero; an uncomfortable mix of Iggy Pop, Johnathan Richman, Jim Morrison, Bob Dylan and Pee Wee Herman, an over the top vocalist who is embarrassing in his indulgent excesses. 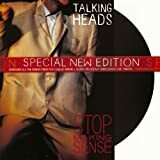 This album is aptly called Stop Making Sense because it made no sense for the Talking Heads to trade in their unique disciplined nerd funk-rock for the same old sloppy hippie excess that they used to be the opposite of. There are some good points, Burning Down the House sounds like a cross between two classic Hot Chocolate singles (Everyone's a Winner and I Believe in Miracles) and is the best little funky dance number the Heads ever created/borrowed. Countryish groove rocker, What a Day That Was, isn't too bad and the music fits Byrne's vocal delivery better than the funky numbers. Also, guest keyboardist Bernie Worrell is the genius he always is. Although Worrell never received the accolades that fellow 70s multi-keyboardists like Keith Emerson and Rick Wakeman received, he is capable of anything they can do and then some. After his work with the complex art funk of Parliament, playing with the T Heads was probably a sleep walk, but he ties the band together with tight rhythms and adds his trademark creative synthesizer colors as well. Album closer, Al Green's Take Me to the River, epitomizes what is wrong here. 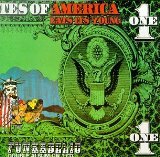 The original studio cover of this song by the Heads was a great quirky modernistic take on Green's soul classic. Quite wisely, the Heads at that time avoided any attempt to approximate Green or his unmistakable southern soul roots. On this new live version it sounds like the Heads are already on the Las Vegas revival circuit scene with big back-up vocals and a huge rave-up performance that is mostly a tacky disservice to Al Green's smooth and subtle original. 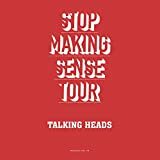 Post a review of TALKING HEADS "Stop Making Sense"